Current risk management practices are unable to universally reveal major risks in time for stakeholders to proactively avoid the risk. We must adopt a scientific approach to risk management if we hope to escape the risk of chronic crisis which we now face. 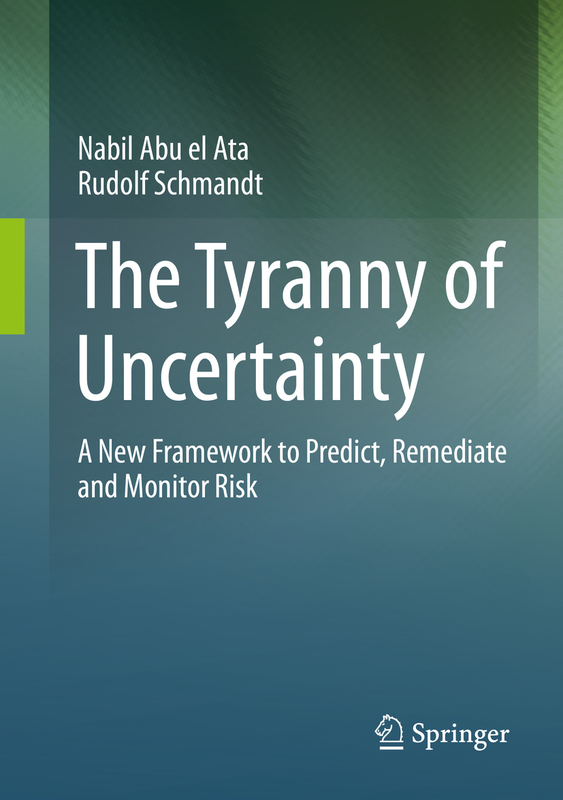 The Tyranny of Uncertainty explains how dynamic complexity creates hidden risks and why traditional risk management methods can no longer prepare stakeholders to act at the right time to avoid or contain risks such as the Fukushima Daiichi Nuclear Disaster, the 2007-2008 Financial Crisis, or Obamacare’s Website Launch Failure. By applying scientific discoveries and mathematically advanced methods of predictive analytics, the book demonstrates how business and information technology decision makers have used the presented methods to reveal previously unknown risks and take action to optimally manage risk. The book offers a revolutionary solution to risk management. It’s the unknown risks that keep leaders awake at night—wondering how to prepare for and steer their organization clear from that which they cannot predict. Businesses, governments and regulatory bodies dedicate endless amounts of time and resources to the task of risk management, but every leader knows that the biggest threats will come from some new chain of events or unexpected surprises—none of which will be predicted using conventional wisdom or current risk management technologies and so management will be caught completely off guard when the next crisis hits. By adopting a scientific approach to risk management, we can escape the limited and historical view of experience and statistical based risk management models to expose dynamic complexity risks and prepare for new and never experienced events. Rudolf Schmandt has implemented risk management systems for major German banks and is widely applauded for his abilities to troubleshoot systems. Major career milestones include successful execution of a 47 country EMEA IT consolidation and reorganization, which resulted in a much less complex footprint and lower costs. In his position as Head of EMEA and Retail production for Deutsche Bank and Postbank Systems board member, he maintains responsibilities for production within EMEA.